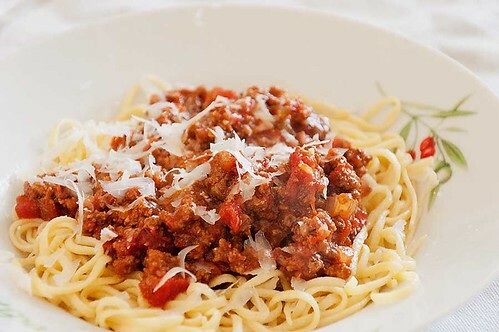 Homemade spaghetti, pass me some Parmesan cheese, please. 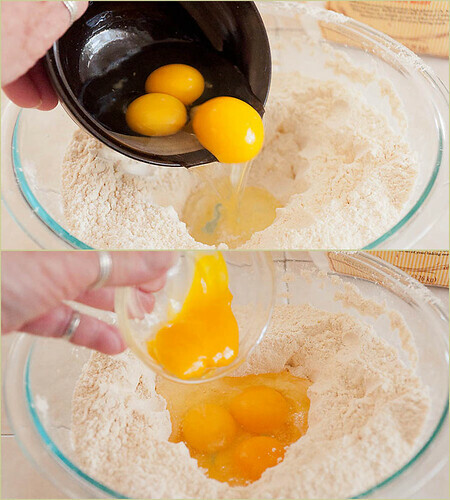 You'll need all-purpose flour, durum flour, semolina flour, whole eggs, egg yolk and water. 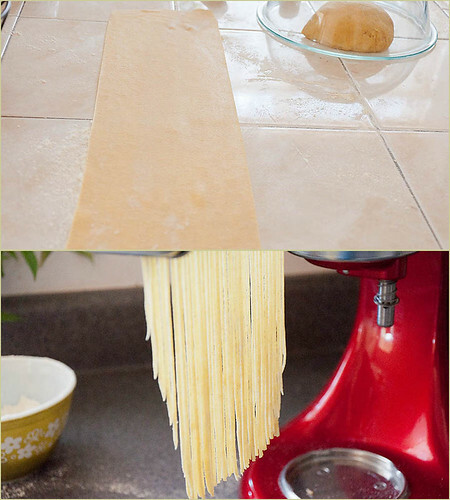 The pasta dough mix is 1/2 all-purpose flour, 1/4 durum, 1/4 semolina. Add the eggs and water. 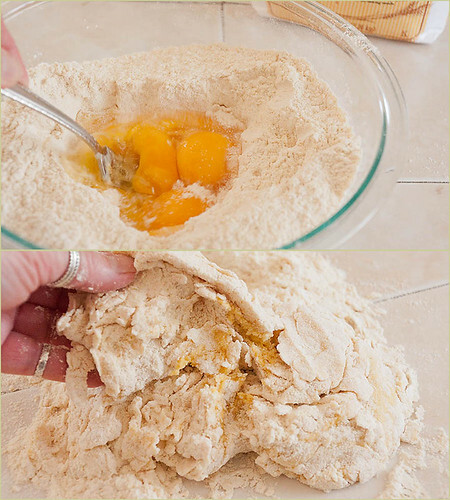 Start whisking the eggs with a table fork, slowly incorporating the flour until you have a shaggy dough. 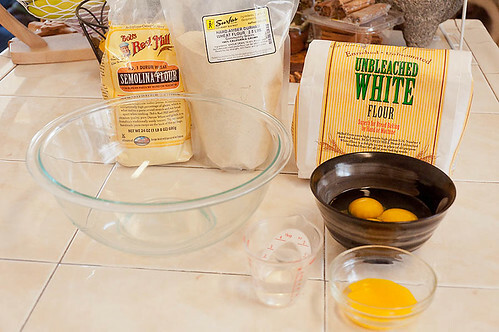 Once half of the flour has been incorporated, turn it out on your work surface. 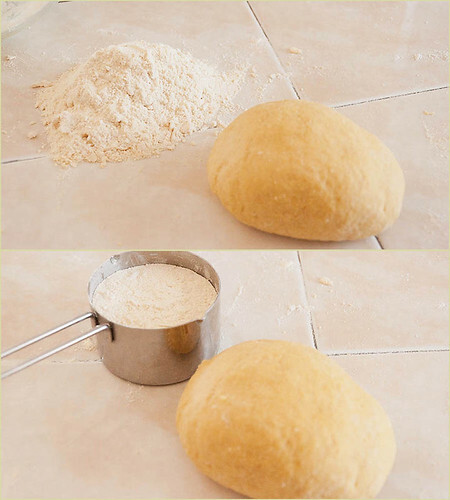 Knead the dough about 5 minutes, until it is cohesive and moderately smooth. After the dough was kneaded, I collected and sifted the leftover flour, and used that for bench flour, worked a treat. 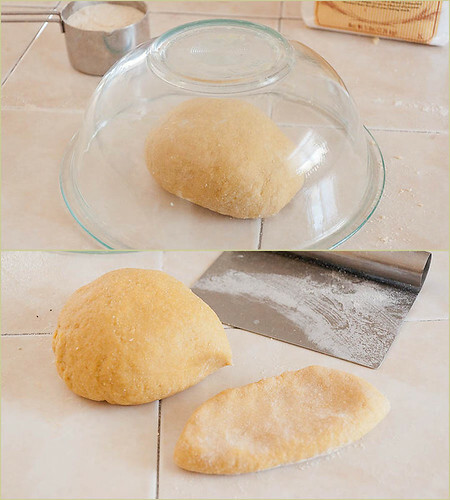 Cover the dough and let it rest for 30 minutes before rolling. Cut off a chunk of dough, and flatten it out a little by hand to get ready for rolling. I very carefully made sure that the ends of the sheet of dough were even, that way, when I fed the sheet of dough into the cutter, I wouldn't end up with different lengths of spaghetti. Oh well, so much for that, the roller snagged the dough unevenly and I ended up with varying lengths of spaghetti anyway. 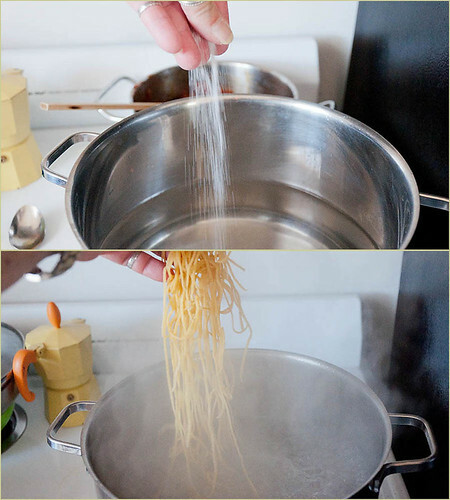 In water "as salty as the Mediterranean" cook the pasta. I used the 3 egg pasta dough recipe. Love, love it. 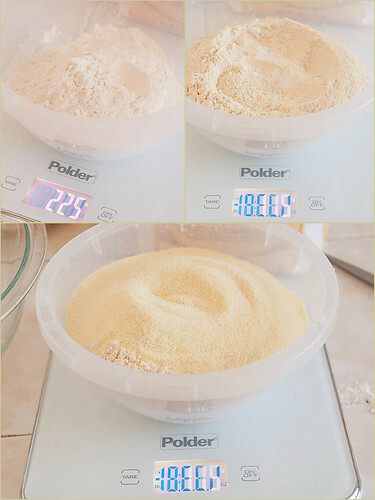 Yield one pound (455g) bulk recipe. make a softer, pliable, silky dough that’s easy to roll and stretch. preferably a wooden board . firmer dough that releases easily from your fingers. and More (Kindle Locations 370-372). Creative Publishing International.